How to generate trading signals using Money Flow index and 100 DMA? Blog » Miscellaneous » How to generate trading signals using Money Flow index and 100 DMA? Price and volume are two of the most basic but very essential indicators in technical analysis to predict price movement. To take care of price and volume data, you may use Money Flow Index (MFI). MFI is a momentum oscillator which identifies the momentum of outflow and inflow of money of a stock over a given time period. It is one of the popular technical tools found in the most trading platform. You may do NSE Academy Certified Options Strategies to learn and frame your own strategies to trade in the market.  MFI is also known as a volume-weighted version of RSI as it is interpreted similarly to RSI oscillator; however the main difference in MFI is with regards to volume. Due to the volume feature, MFI works little differently than that of RSI. Also Read: RSI Indicator and How is it useful in Trading Stocks? By computing the indexed value depending on the number of bars (as specified in the money flow index setting), a line is plotted on the chart which oscillates between 0 and 100 level. With the rise in stock price, the MFI also goes up which signals increasing buying pressure. On the other hand, MFI goes down with the decrease in price thus signalling decreasing buying pressure. Thus you may predict the directional movement of the market simply by keeping a watch on MFI. If you want to learn technical analysis you may do NSE Academy Certified Technical Analysis course. Case 1: When price cuts above 20 SMA from below and simultaneously MFI also cuts above the 40 line, it generates a buy signal. Case 2: Similarly, when the price cuts below 20 SMA from above and MFI also cuts below the 60 line, it generates a sell signal. Like other technical indicators, MFI should also be used in conjunction with other technical analysis tools like chart patterns, volume and breakouts can be used to get confirmed signals produced by MFI.